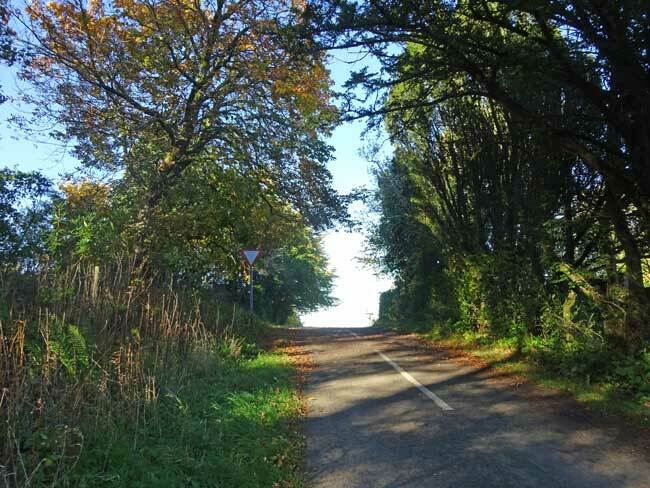 This circular walk from the cottage takes you from Riggs to the other side of the Embleton Valley and on to the Lakes Distillery. 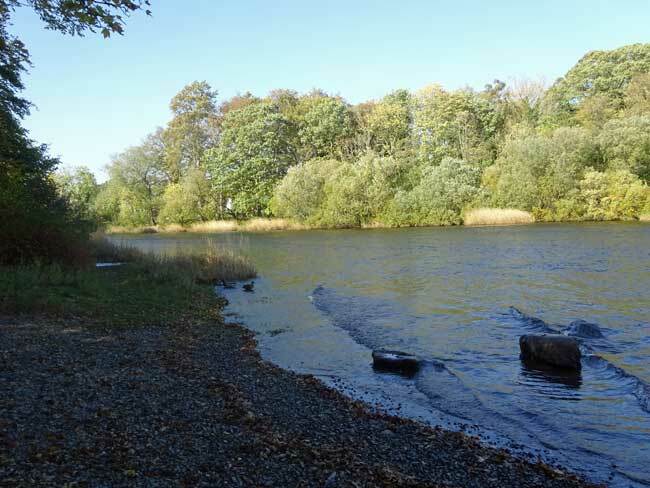 The return is along the shore of Bassenthwaite Lake, past the Dubwath Silver Meadow wetland nature reserve and the Pheasant Inn before arriving back at Riggs Cottage. 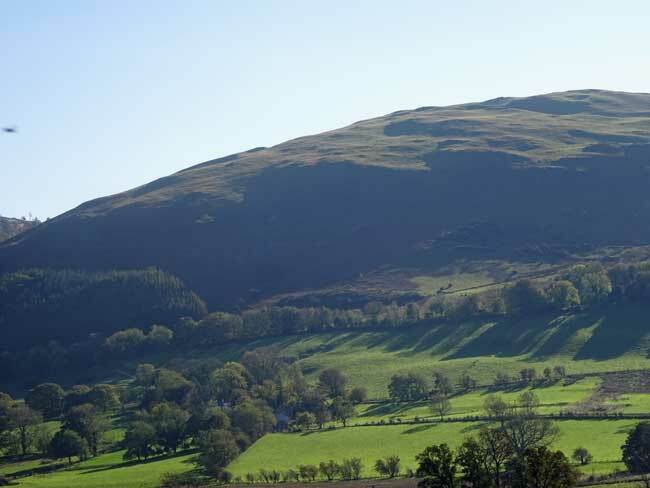 The return from the distillery takes you along a path by the northern shore of Bassenthwaite Lake with excellent views of Sale Fell and the Whinlatter area. If you are lucky you should see swans and ducks on the lake. Before returning to the cottage it is worth visiting the Dubwath Silver Meadow wetland nature reserve (See seperate sheet) and if in need of further refreshment drop into the Pheasant Inn. 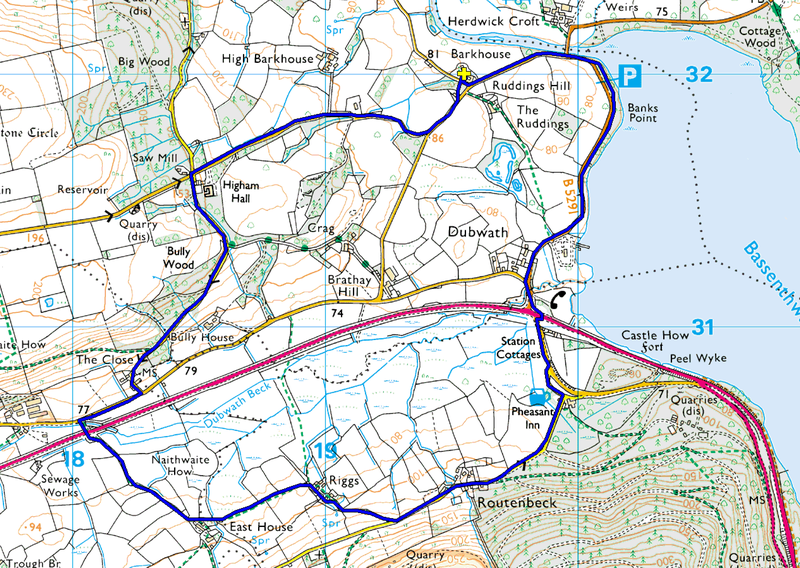 Note that this walk is on a mixture of paths and roads. The roads are a mixture of quiet and very quiet so not many cars will be seen. 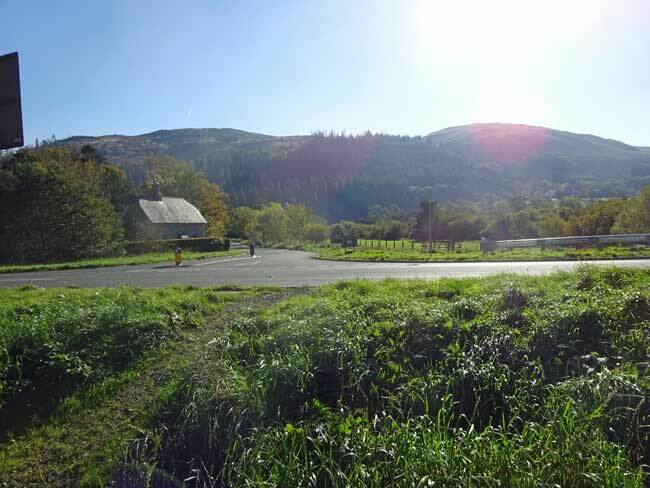 There is however a couple of hundred metres of slightly busier road between the distillery and the start of the path along Bassenthwaite Lake. Total length of the walk is 7.5kms (4.7 miles). The total ascent and descent is 175m (570ft) with a highest point of 150m (500ft). Riggs Cottage is at 100m (330ft). The walk, stopping to admire the views but excluding a stop at the distillery, should take about 2.5 hours at a gentle pace. 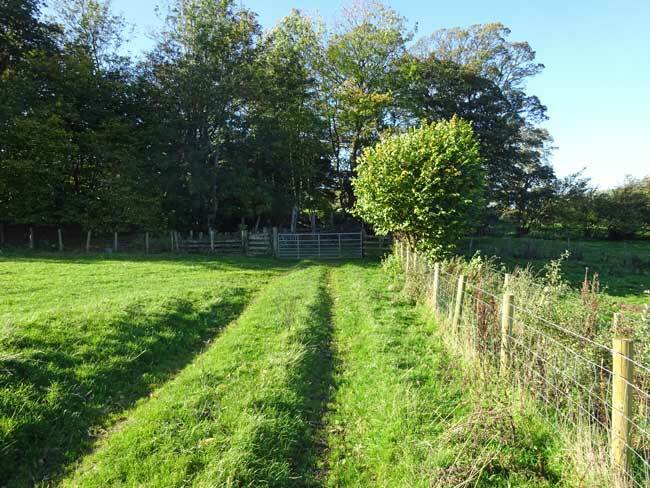 (1) From the cottage gate turn left down the track, past the games barn and continue down the earthen track to the property below (Riggs Farm). The track opens out to a turning area. There is a continuation of the track passing immediately to the left of the large metal barn and to the right of Riggs Farm. (2) Very shortly the track splits left and right. Follow it to the left and past Riggs Farm on your left. 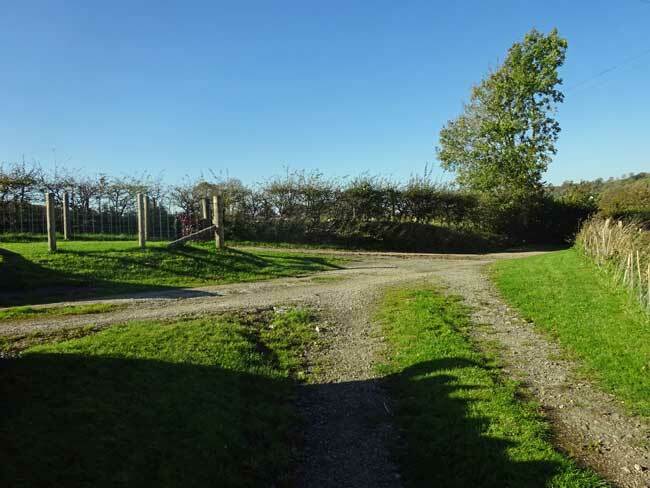 (3) Just after Riggs Farm you will see two gates ahead. Pass through the first gate. (4) After passing through the first gate turn left through the gate into a field with a grassy track following the edge of the field. Continue along the track with the fence on your right. (5) You will pass through a number of gates. Just keep following the well defined track ahead. (6) Eventually you will reach and pass East House on your left. Shortly after the house the track splits. Follow it around to the right and continue down the lane ahead. 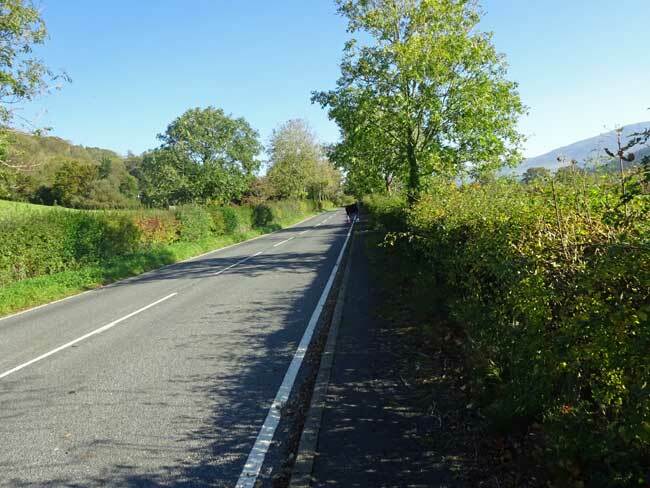 (7) After a few hundred metres you will reach the A66 (you will hear it before you see it). There is a small road immediately opposite the track you have been following. Taking care cross the A66 and continue along this small road. It crosses Dubwath Beck and almost immediately there is a T Junction. (8) Turn right at the T junction following the pavement on the right hand side of the road. This road is relatively quiet but vehicles can drive along here at speed. You only follow this road for a few hundred metres. (9) Look for a small road to the left towards some properties. It is easy to miss. 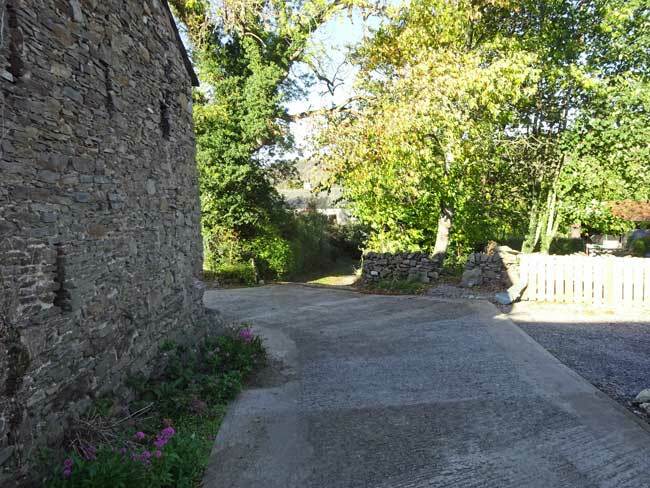 Walk up the road which bends to the right after the houses and then climbs gently uphill. 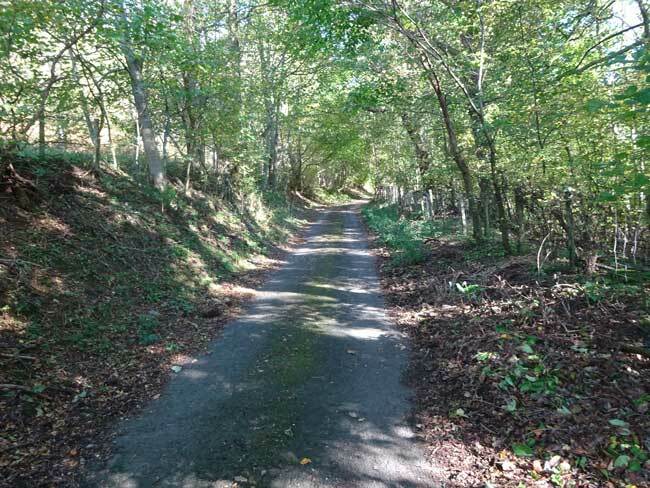 (10) This is a rarely used road as you can tell from its condition. As it climbs there are good views to the right of Sale Fell. (11) If you look carefully you can see the three properties at Riggs and the concrete track leading down to them with Sale Fell above. 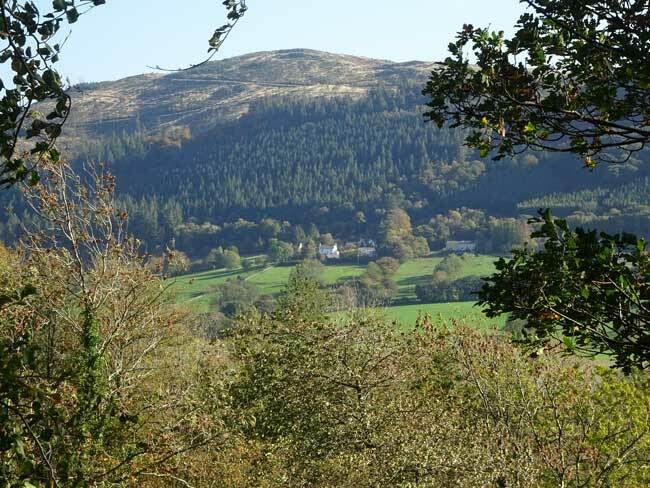 (12) Slightly further on there are views of Routenbeck (the hamlet you almost certainly drove through to get to Riggs). 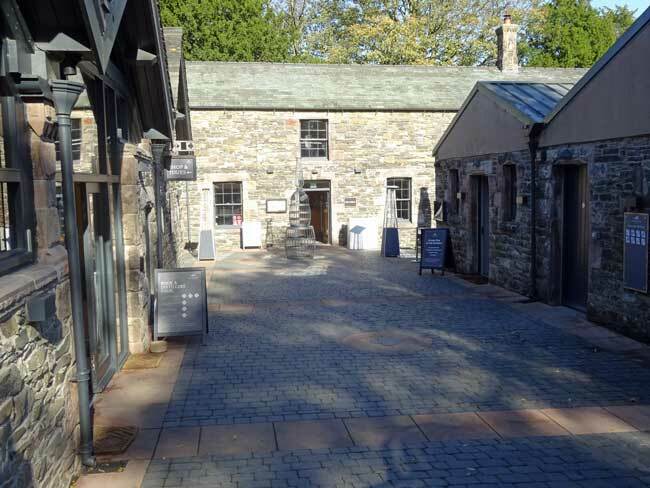 (16) As you enter there is a shop and tour centre to the left and the Bistro is straight ahead. 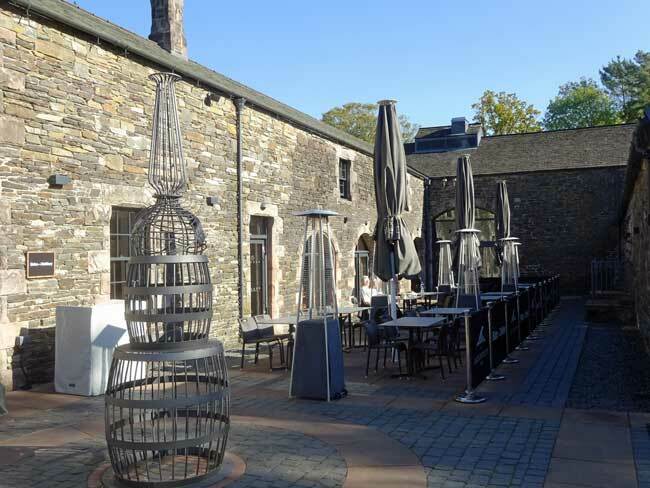 (17) If you are there on a sunny day the outside eating area is an extremely pleasant place for lunch, snacks and/or drinks and is a very effective sun trap. 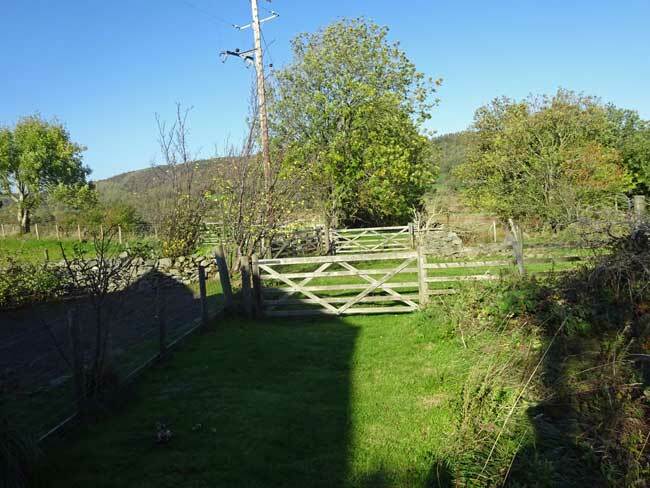 (18) At the opposite end of the courtyard to the seating area there is a gate in the wall that takes you to a path leading down through fields (sometimes with alpacas in) to the river Derwent. 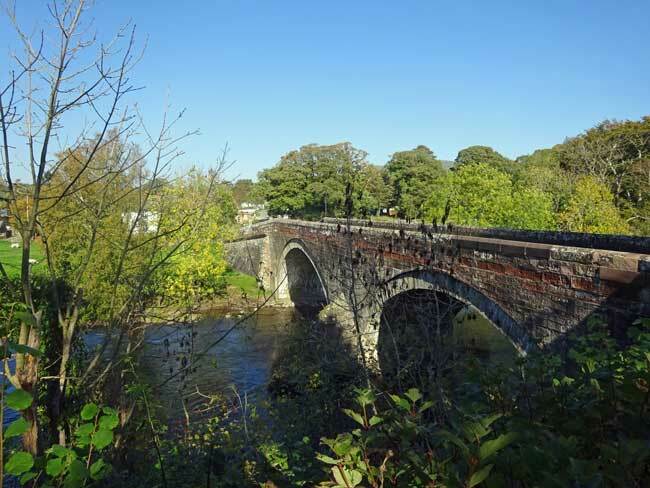 Although you cannot go any further along the river it is still a pleasant stroll after refreshments. 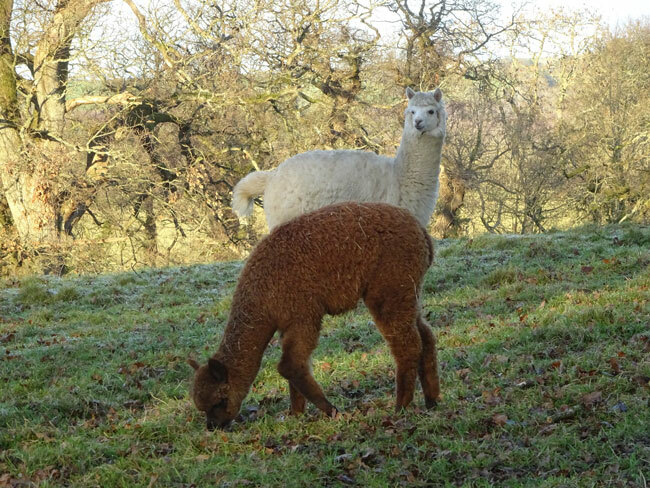 (18A) When in their field the alpacas can usually be seen close up, generally grazing in the same way as a herd of sheep. 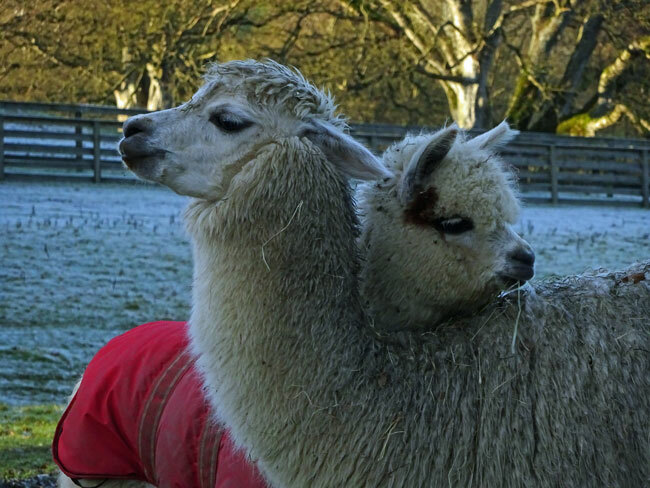 (18B) This picture was taken in January and as you can see the alpacas have their own way of staying warm in the frosty conditions. 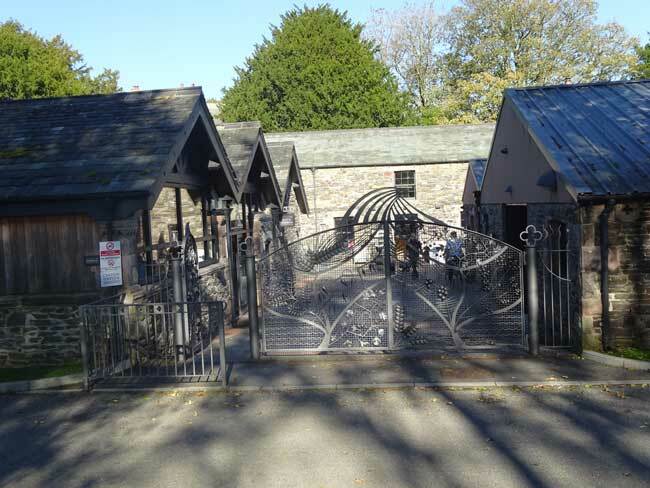 (19) Leave the distillery through the ornate gate and turn left. Almost immediately it reaches the road you were walking along when you arrived. Turn left here and follow the road down towards the river for about 300m before reaching the single lane Ouse bridge. 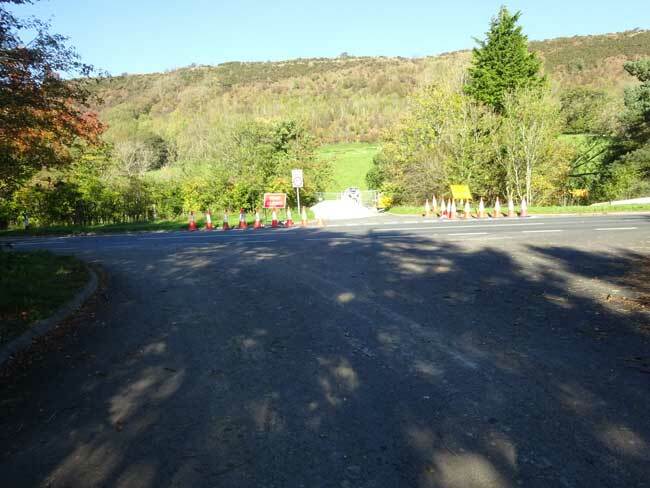 (20) Do NOT cross the bridge but follow the road for another 30 metres. 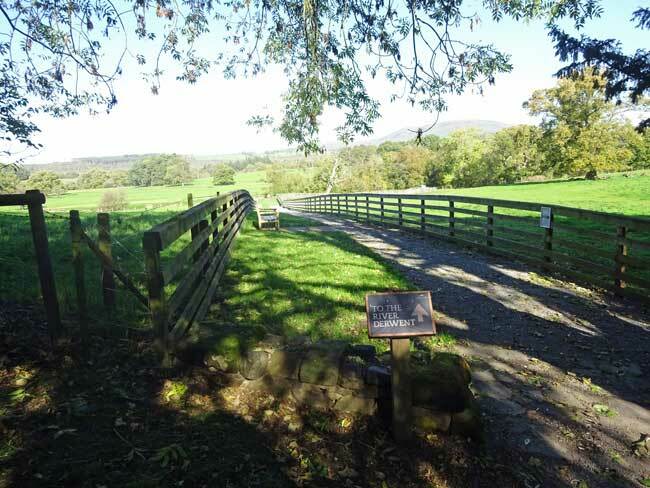 You will see a gate to the left leading down to Bassenthwaite Lake. Go through this gate. (21) The path takes you down to where the River Derwent leaves Bassenthwaite Lake. Keep following the path with the lake on your left. 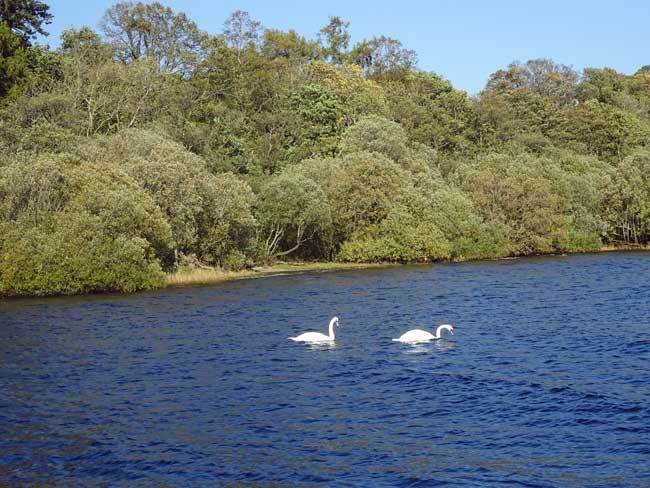 (22) There are often swans, ducks, herons, oystercatchers and many other birds to be found along the shore of the lake. 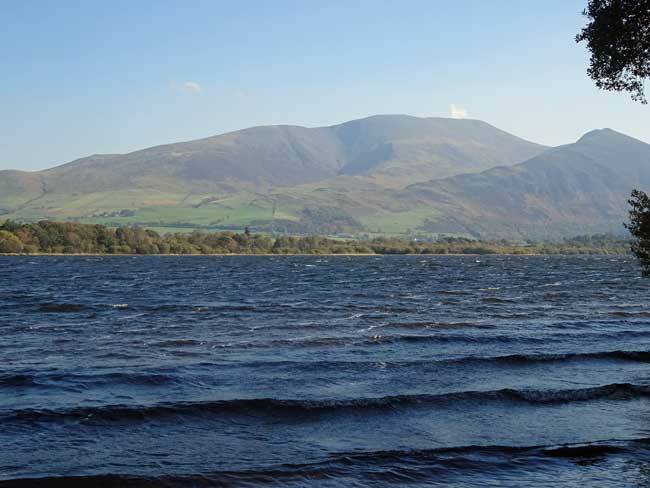 (23) As you continue along the path, views of Sale Fell and the Whinlatter area can be seen across the lake. 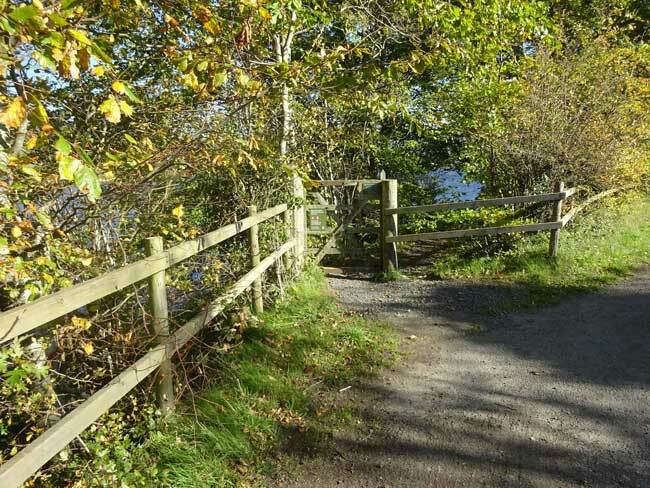 (24) Eventually as you approach Bassenthwaite sailing club the path brings you back to the road. Turn left onto the road and follow it through Dubwath hamlet, turn left at the T junction and you will be immediately back at the A66. 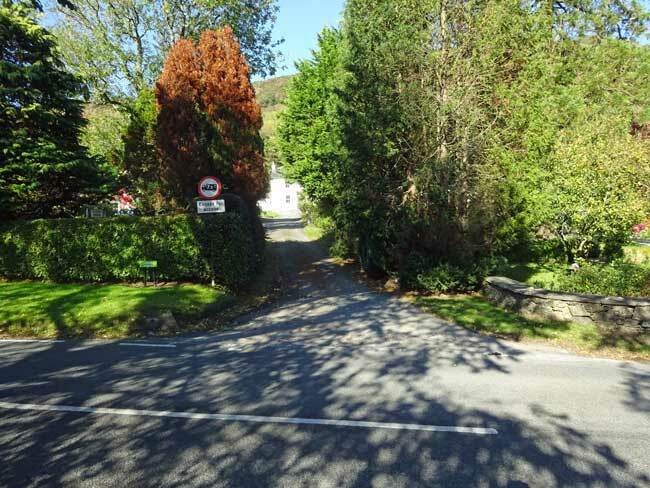 Use the crossing to get to the other side and follow the road opposite towards the Pheasant Inn. 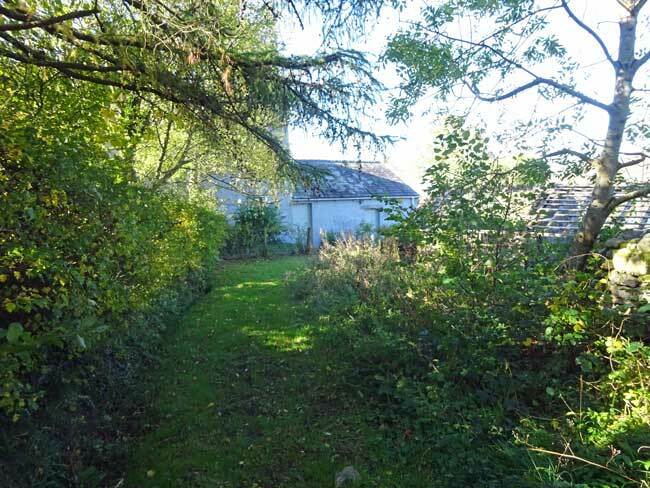 (25) Very quickly you reach the entrance to the Dubwath Silver Meadow wetland nature reserve on the right. If you still have the energy then this is well worth a visit (see separate sheet in the walks file in the cottage). 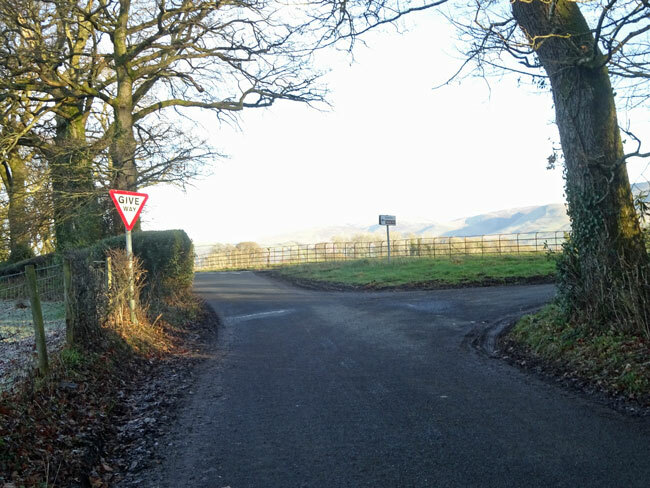 (26) Immediately after Silver Meadow take the right hand fork in the road towards the Pheasant Inn. (27) If not stopping for further refreshments then just before the Pheasant turn right. You should know where you are by now as this is almost certainly the road you drove up to get to Riggs Cottage. 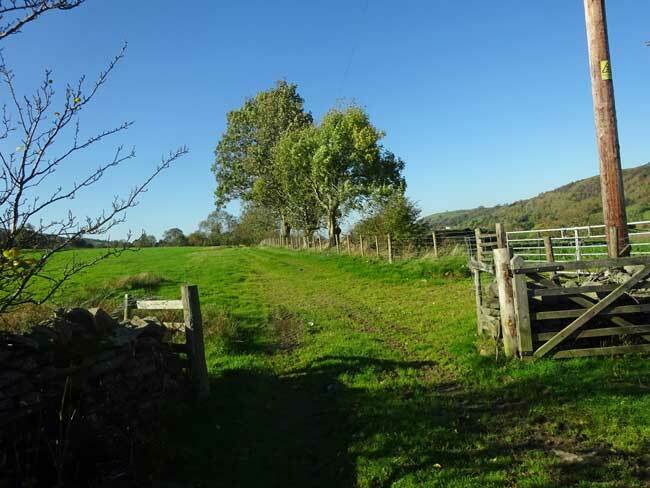 Keep following the road through Routenbeck hamlet and continue for a few hundred yards further. (28) Turn down Riggs track and return to the cottage.